Just as I was beginning to think one of my all-time favorite hosting companies, DreamHost (whom I’ve been hosting a number of personal websites with for well over five years now) were beginning to get a little left behind by all the new competition that keeps appearing in the world of web hosting, they’ve launched a spiffing new website, a brand new managed WordPress hosting plan named DreamPress and now — most interesting to me at least* — brand new managed VPS hosting plans with SSDs. What’s more, they’re also offering these new VPS plans running not only good ol’ Apache but also, as an alternative, Nginx**! How do these new VPS plans compare to their old counterparts? There’s a surprising price difference: the new VPSs are cheaper per MB of memory! Whereas the old VPS plans offered 300MB of RAM for $15/month, the new VPS plans offer 1GB of RAM (and 30GB of SSD storage) for $15/month — or, if you need more: a few other price points topping out at 8GB of RAM (with a whopping 240GB of SSD storage) for $120/month. Needless to say, you’d expect the new VPS plans with their shiny new SSDs to be quite a bit quicker! Here’s a quote from DreamHost: “Our VPS servers use SSD hard drives and are 20x faster than traditional SATA disk drives”! 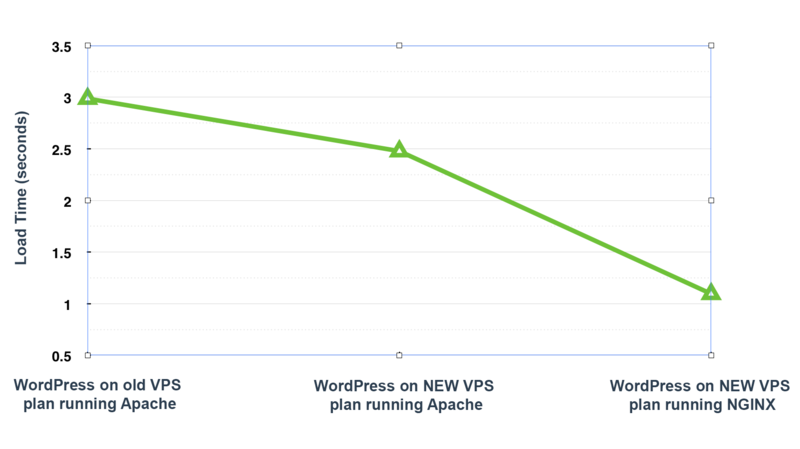 Plus, as already mentioned in the intro, in addition to Apache, these new VPS plans also offer Nginx — thereby making them potentially quite a bit faster still! DreamHost report these new plans have an uptime of 100% (up from 99.99% for the previous plans). Can’t really ask for better than that! Instant scalability (see above for the costs of scaling up), Ubuntu 12.04 LTS, IPv6 support, optional root access (full root access via sudo), unlimited bandwidth, unlimited hosted domains and unlimited 24/7 in-house support (accessible via live chat, Twitter and, of course, good ol’ fashion email) — plus SSH, SSL, Python, Node.js and, as already mentioned, Nginx support. For comparison, here’s an absolutely bog-standard, out-of-the-box WordPress install running on one of the old VPS plans (running Apache with 522MB of RAM): http://webhostingspeedtests-dh-vps-old-apache.com (update 15th December 2014: site now offline – couldn’t keep it running forever!). Quick summary: Rather than test just once, we ran the GTMetrix report ten times – which gave us an average load time of 2.99s seconds. – however, since GTMetrix reports depend on a number of different variables that are, in fact, continually varying, feel free to do a few tests of your own – on GTMetrix, PageSpeed Insights, WebPagetest or Pingdom, etc, etc (more on these tools here). And here’s another, identical bog-standard, out-of-the-box WordPress install running on one of the NEW DREAMHOST VPS PLANS (running Apache with 1GB of RAM and SSDs): http://webhostingspeedtests-dh-vps-new-apache.com (update 15th December 2014: site now offline – couldn’t keep it running forever!). Quick summary: Rather than test just once, we ran the GTMetrix report ten times – which gave us an average load time of 2.48 seconds. – see above note on running speed tests. Plus, as an added bonus, here’s another bog-standard, out-of-the-box WordPress install running on one of the new DreamHost VPS plans — this time on Nginx (with the same 1GB of RAM and SSDs as above): http://webhostingspeedtests-dh-vps-new-nginx.com (update 15th December 2014: site now offline – couldn’t keep it running forever!). Quick summary: Again, rather than test just once, we ran the GTMetrix report ten times – which gave us an average load time of just 1.1 seconds – WOW! 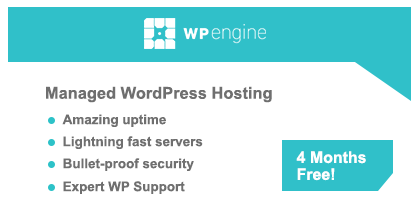 Significantly better value, improved reliability, loads of additional cutting-edge features, noticeably faster load times — ESPECIALLY USING NGINX — (although if you’re wanting to simply run WordPress as quickly as possible with minimum fuss you’d perhaps be a better off considering a specialist service like DreamHost’s DreamPress, Media Temple’s Premium WordPress Hosting or WPEngine) – that said of course, it’s worth remembering that the above tests are on default WordPress installs – i.e. 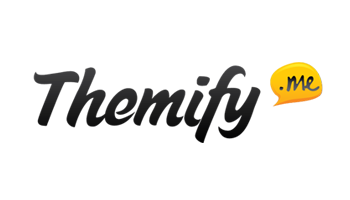 with no caching plugins and no CDN etc, which would obviously speed things up somewhat) and the option of running Nginx for lightning-fast speeds (as an alternative to good ol’ Apache) – what’s not to like***?! Good job DreamHost!  Read the official overview on the official DreamHost website here. *since I currently run all my DreamHost-powered sites on their VPS plans. 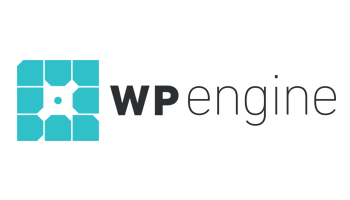 **In the words of Mark Jaquith: “The best thing to happen to WordPress — ever… …Goodbye Apache, it’s been real!” (10:58). ***it’s been pointed out to me since posting this article that, at the time of writing, the Nginx option on DreamHost limits you to using only PHP v5.2 – which is an issue that could cause compatibility problems with some plugins and could really be a lot better! Interested in something cheaper and don’t yet need the power of a fully-fledged VPS? Check out our DreamHost shared-hosting coupon for a sweet starter deal! Tried DreamHost’s new VPS plans yet? Thoughts? 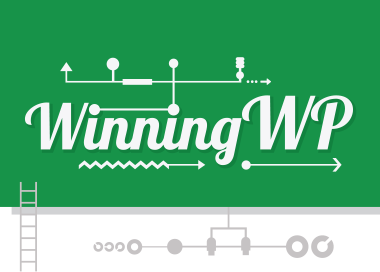 Founder of WinningWP - passionate about all things WordPress! Find me on Twitter. Hey, So you are hosting this site on Dreamhost VPS too? If you can tell how much RAM you are using will help me a lot. As this site is superfast. 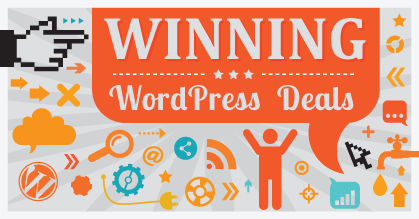 Hiya, WinningWP was hosted with DreamHost, but now we’re with Flywheel (more info – https://winningwp.com/under-the-hood/ ).